When filled, the volume of propane is approximately 80% of the total tank capacity to allow for expansion. 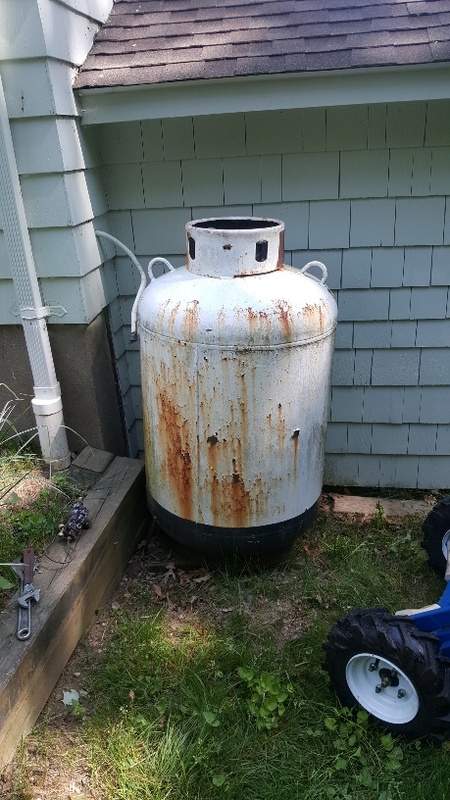 A standard 57 gallon tank holds 46 gallons of propane and is generally installed for residential cooking and clothes drying. Each tank is 43” in height and 24” in diameter. Also known as a 200 lb. tank. A standard 120 gallon tank holds 96 gallons of propane and is generally installed for residential hot water or space heating with sufficient storage if you add a gas range or clothes dryer. Each tank is 54.5” in height and 30” in diameter. Also known as a 420 lb. tank. A standard 120 gallon tank holds 96 gallons of propane and is generally installed for residential hot water or space heating with sufficient storage if you add a gas range or clothes dryer. Each tank is 68” long and 24” in diameter. 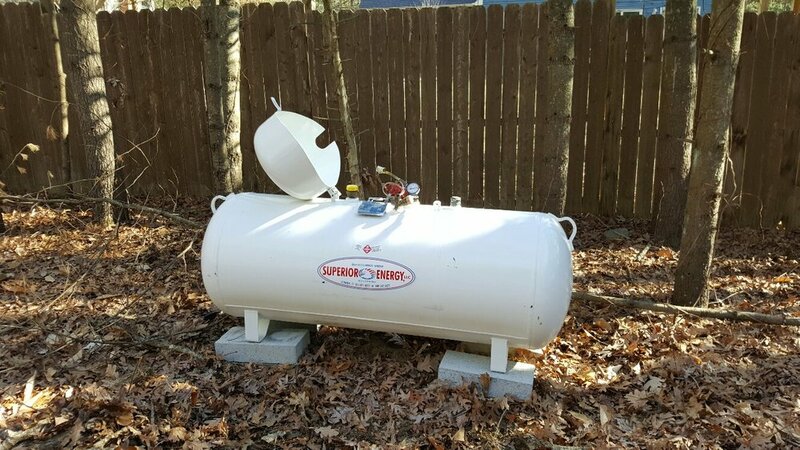 A standard 500 gallon tank holds 400 gallons of propane and is generally installed for central heating and small commercial applications. Each tank is 9’ 11” long and 37½” in diameter. 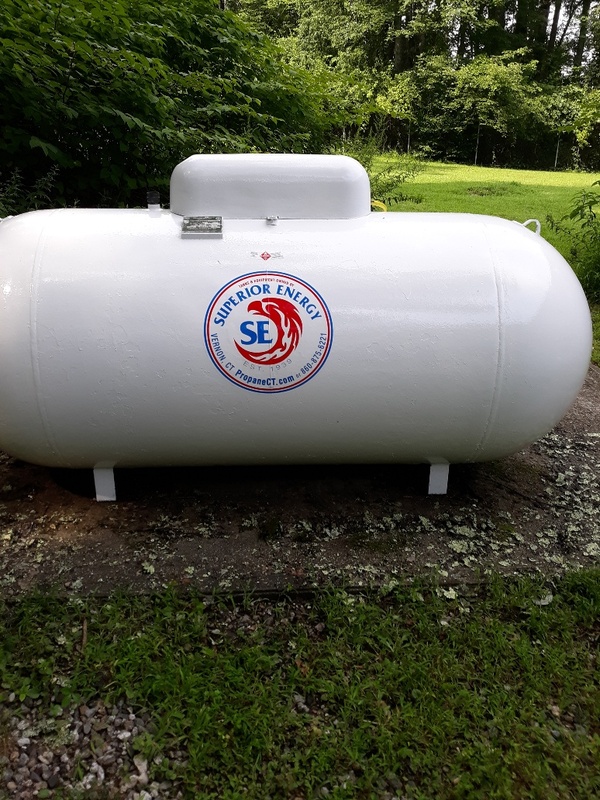 A standard 1000 gallon tank holds 800 gallons of propane and is generally installed for commercial and industrial applications. Large commercial and industrial installations may require multiple 1000-gallon tanks. Each tank is 16’ 1½” long and 41” in diameter. Customers using Superior Energy-owned equipment will be assessed a Tank Usage and Maintenance Fee (sometimes called a tank rental fee) during the period that the equipment is used. The amount can vary depending on, among other things, the size of the tank, the location of the residence, whether it is an above or underground tank, and your actual annual usage. As owner of the tank(s), we are responsible for any needed maintenance and compliance with all applicable safety regulations. We pay close attention to required service and maintenance of the tanks and regulators for the protection of our customers. If the tank ever needs repair or replacement, we do that with no additional charge. We offer underground tanks from 300 to 1000 gallons for an excellent, low profile storage solution. These tanks are environmentally friendly, constructed of heavy steel and are specially painted with a mastic coating to prevent corrosion. They increase curb appeal because only the tank dome stays above ground; it houses the regulator, gauges and filling port. A small amount of excavation is required. In addition, propane system should be at least 10 feet from septic system/leach fields. 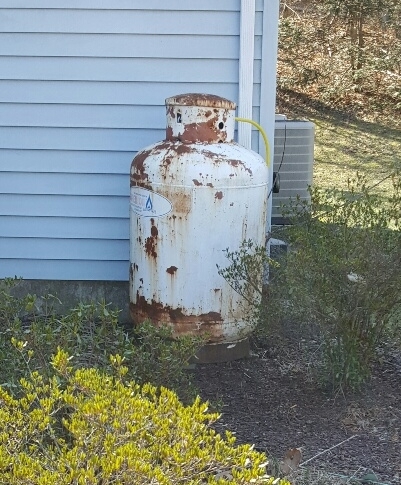 Note: a propane storage tank system includes the storage tank, piping and other equipment associated with storage, or the transfer of the propane from storage.